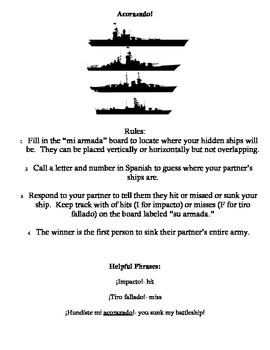 A paper version of the board game Battleship! With helpful phrases in Spanish. 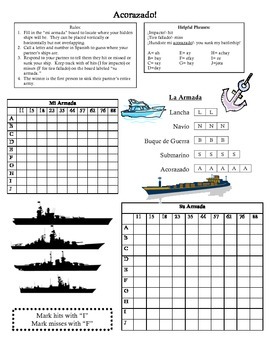 Great for practicing numbers and alphabet in Spanish.